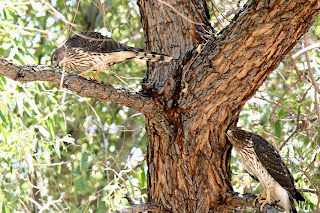 Your Daily Dose of Sabino Canyon: Two dam hawks! 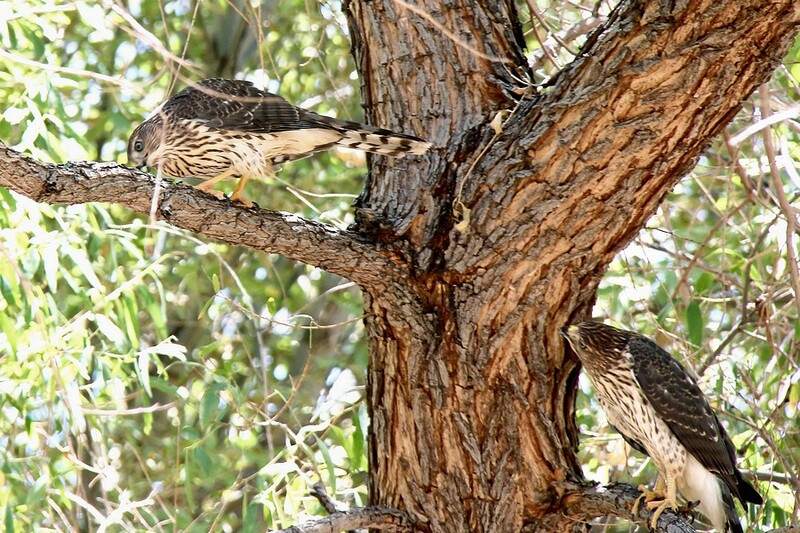 Lee was recently asked for an update on the Cooper's Hawk fledglings in the riparian area by the dam, since we can now get into that area of the canyon. He went out on Thursday and captured these two. Click for a larger view.